How is it delivered at Barkingside Art Club? Barkingside Art Club is an Arts Award Centre based at Fullwell Cross Library who supports young people to complete their Discover, Explore, Bronze, Silver and Gold Arts Award qualifications. BAC’ learning programme supports individual creative development and places young people at the heart of the Arts Award process. Through the term time weekly art club sessions which runs for Infants age 3-6 yeas old , Juniors 7-10 years and portfolio 11-16 years old. Young people who will access to Explorer and Bronze have the opportunity to explore visual arts, crafts and design based activities (such as drawing, painting, photography, sculpture, sketchbooks, print-making and design. To see the full Art Club programme please visit workshop pages) The Explore and Bronze levels are embedded into the Art Club programme, so young people can embrace an understanding of art forms, art practitioners and art movements whilst learning to document their process. The Young Minds scheme is open to any young person ages between 16-25 years, which aims to provide work experience opportunities within BAC art department. By gaining first hand experience of operating in different roles within the industry; both in marketing and events, young people will discover behind the scene experience of hosting art events, art exhibitions, delivering workshops and help delivering out reach projects. The experience can be used to contribute towards their Arts Award, Duke of Edinburgh’s or act as experience for their CV. Our Silver and Gold Arts Award levels are delivered at BAC through monthly 1-2-1 mentoring sessions with the designated Arts Award Advisor. Both levels focus on personal artistic exploration where young people define their own art challenges and explore art forms to build up a portfolio. Young people are encouraged to get involved with BAC’s network of artists and events through work shadowing professional art practitioners, as a team hosting their own events at Fullwell Cross Library. 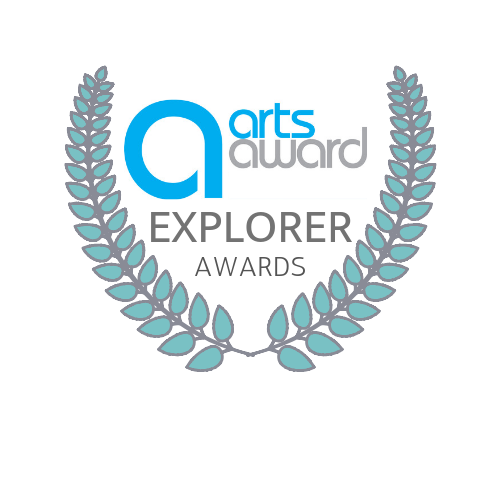 The Explore Arts Award can also be delivered on an outreach basis at your venue either organisation or school by experienced BAC staff. Fee may vary so please contact us to find out more. *Art awards moderation fees are separate to our regular booking cost. BAC art centre is based at Fullwell Cross Library, where young people can have access to printing and IT facilities throughout the duration of completing their award. Young people need to commit up to two hours a week on their Arts Award, particularly at the Silver and Gold levels. Advice and Guidance will be provided at all times, however young people are expected to take ownership and responsibility of their learning throughout the award. We run Creative Wednesdays where young people will have access to creative studios between 12-2pm term time. For more information or to Explore wether the Arts Award is right for your child, please contact Barkingside Art Club’ Award Advisor Eliyah Qureshi.